Peruse our collection of Take A Seat chairs along with event activity from the 2013 and 2014 programs worldwide. An example of the designer and chair profile from the 2013 IFDA Take A Seat folio. We created a designer folio for 2013 Take A Seat exhibition. 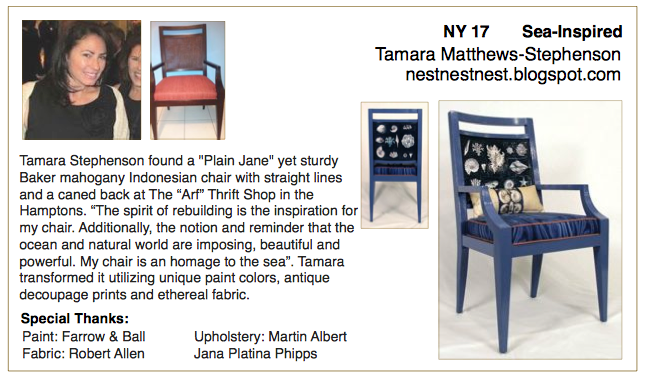 The folio includes photos of each chair and designer, and includes a short story behind the design. The folio also describes the charities for this event, and identifies our international and local patrons. Interested in becoming a patron for 2014? Please take a few minutes to browse through this record of our first Take A Seat exhitibition. You’ll see why we are so excited about our 2014 exhibitions.